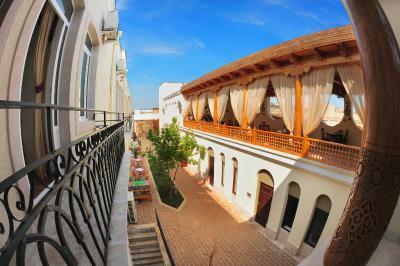 Lock in a great price for Hotel Malika Bukhara – rated 9 by recent guests! Central, comfortable, clean, excellent breakfast! Friendly staff. Rooms are not alll equal. First room we were assigned was dark and wifi signal was non existent. We moved another time and finally got bigger room but had to switch to twin beds. But the wifi signal was stonger. Reccomended staying in the main building. The bed was comfortable! Staff served me tea while I waited for my room, as I arrived before check-in time. Very clean property. 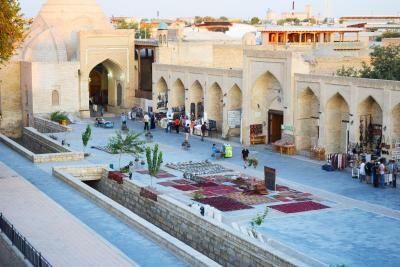 Although we only had a short time in Bukhara, we thoroughly enjoyed our stay in this boutique hotel. The room was an amazing suite with a seating area and nice soft beds. High ceilings and free water. The hotel sent a great driver to pick us up and drop us off at the train station which was very convenient. We visited in the low season, and the hotel was very helpful about letting us do a late check-out when we were planning to catch a night train. The breakfast was also great! 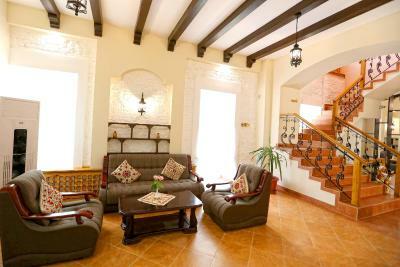 The location is right in the old town, and a convenient walking distance to all the sights and restaurants. Excellent service. Receptionists were exceptionally helpful. Restaurant staff were also pleasant . The staff was extremely friendly and helpful. The room was very comfortable, the hotel was well maintained and with a certain local flair. Great breaskfast and location! 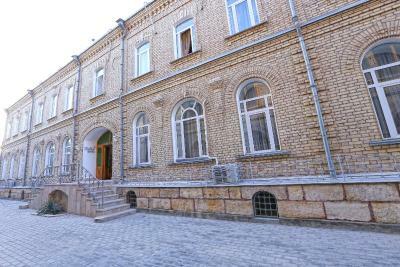 In fact, it was the best hotel stay during my trip to Usbekistan (visited Tashkent, Samarkand and Khiva). The location is great. Staff are very kind and helpful. Great people. 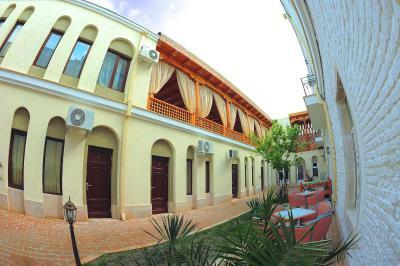 The place is very good, literally it was my best stay in Uzbekistan. 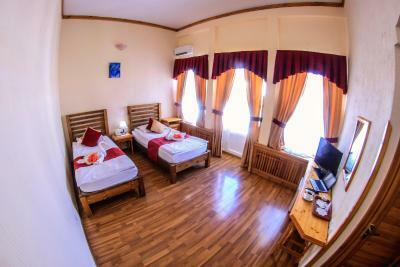 The single room was big enough, with very comfy bed, The buffet breakfast is amazing with large variety of dishes. 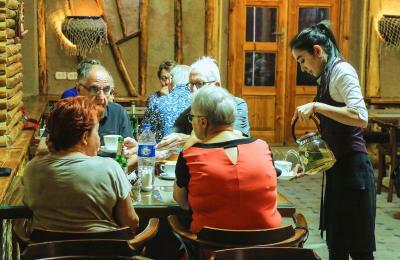 The staff members are welcoming, willing to help - they can give valuable advice about what to do in Bukhara, where to eat local cuisine, etc. Also they provide late check-out for free (subject of the room availability). The laundry service is quick and well with very affordable price. 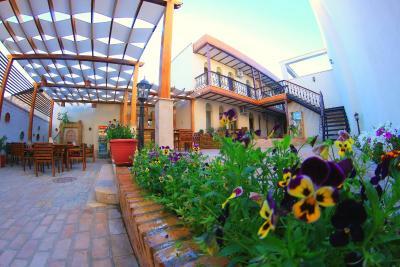 Excellent hotel in all aspects, right in the center, very quiet street, clean, cosy with a beautiful local design. The breakfast is rich with lot of options. The staff is very helpful, polite. The manager even booked for us the tickets for the speed train with his credit card as ours were not working. The art museum is just next door, with a very interesting exposition. 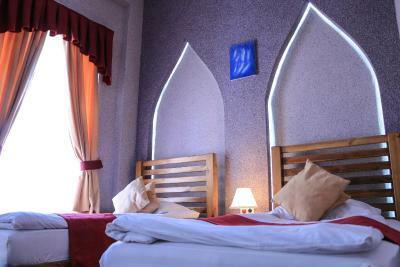 Hotel Malika Bukhara This rating is a reflection of how the property compares to the industry standard when it comes to price, facilities and services available. It's based on a self-evaluation by the property. Use this rating to help choose your stay! 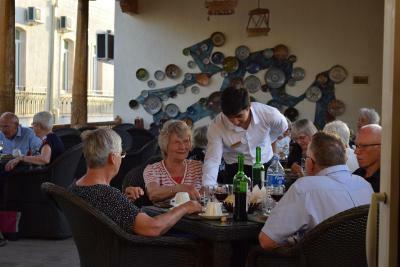 One of our top picks in Bukhara.Centrally located just 150 feet from Lyabi Havuz Complex, this 4-star hotel offers a spa center and rich breakfast buffet with national and European dishes. WiFi is available throughout the property. 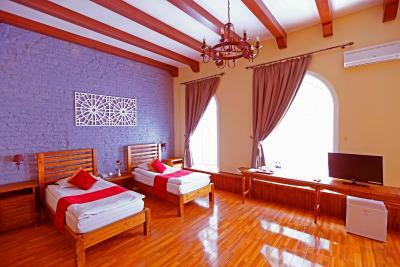 Elegant rooms with classic-style décor are offered at the Malika-Bukhara Hotel. 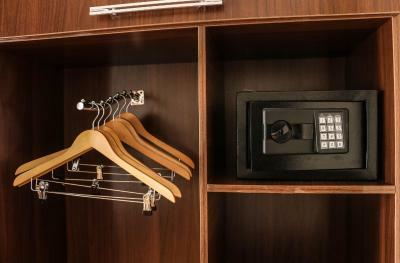 Rooms feature a flat-screen TV, air conditioning and a mini-bar. 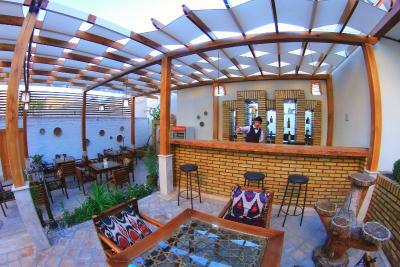 National and Western cuisine is served in the restaurant of the Malika-Bukhara Hotel. A wide variety of drinks is offered at the on-site bar. 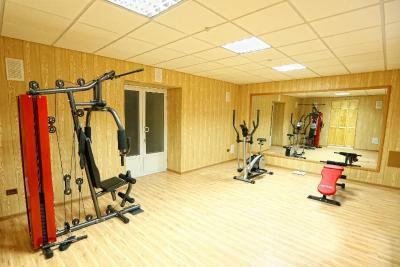 The spa center features Rusian and Turkish sauna and guests can use fitness center. Minaret Kalyan and citadel Ark is 200 metrs from the hotel. Bukhara Airport is 2.8 mi away. 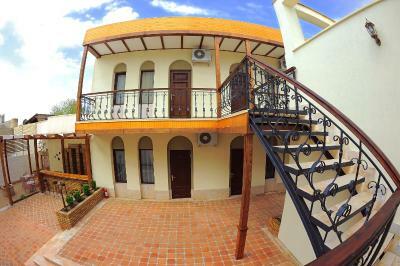 When would you like to stay at Hotel Malika Bukhara? 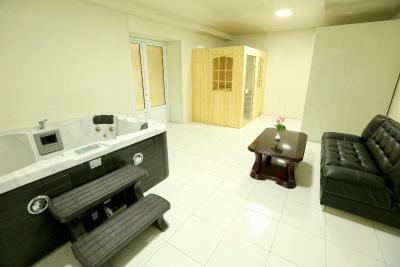 Air-conditioned room with a safe, mini-bar and TV. This twin room features a sofa, seating area and mini-bar. House Rules Hotel Malika Bukhara takes special requests – add in the next step! Hotel Malika Bukhara accepts these cards and reserves the right to temporarily hold an amount prior to arrival. The property accepts payments in USD only. Please inform Hotel Malika Bukhara of your expected arrival time in advance. You can use the Special Requests box when booking, or contact the property directly using the contact details in your confirmation. The fitness center can be much better, it is very small with lack of equipment (there are only one cardio and one weight bench). 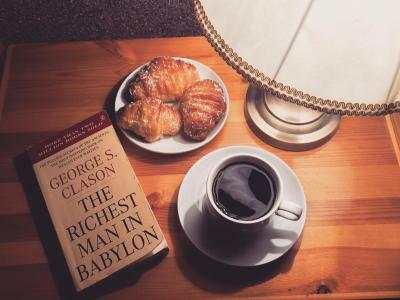 At breakfast time, the good coffee options are subjects to additional charges (they are not expensive, but it is a bit strange for four-star hotel). 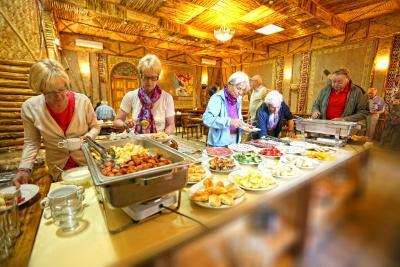 The very central location is very convenient and the breakfast buffet is comprehensive and delicious. The curtains did nothing to block the light entering from the wall across from the room. We hung a blanket to sleep - in full disclosure I don't sleep well with any light pollution. The staff was excellent and helped in anyway they could. 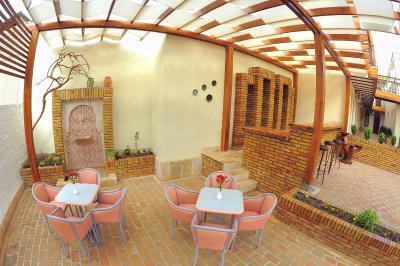 The location is great and the beautiful courtyard is an excellent place to relax, read, and sip some tea. Weak Wi-fi in the room.We had to seat in Lobby to use internet.It was good for us.But If It were normal internet in the room it would be more comfortable. Malika Hotel is very nice hotel in the old Bukhara.It has the best location to explore Bukhara.Staff is very friendly and helpful.Room is huge and clean.Beds are very comfortable. The Breakfast is good also.It was good staying.We liked everything.Thank you for hospitality. Breakfast will be better. It is not enough to feel full. Perfect Location, comfort bed, good omelette. Great location. 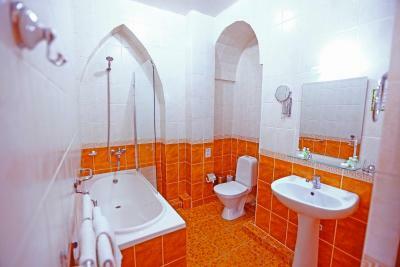 Nice room and bathroom. Good breakfast. We got a complimentary upgrade to deluxe room ( which we are very thankful for ) & early check in. 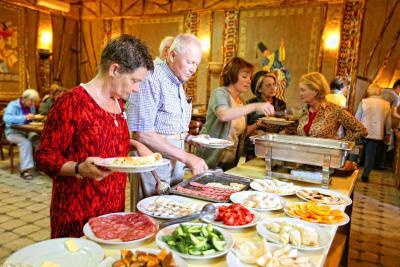 Reception was friendly and helpful suggesting recommended daily itinerary. The room was spacious and comfortable. Has all the amenities you need and 2 bottles of water. Do take note there's no kettle in the room. 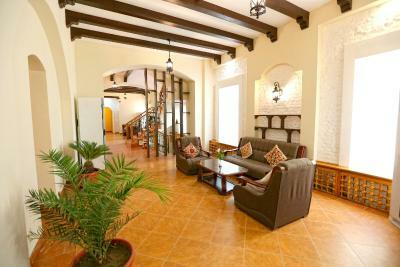 Within the lyabi hauz vicinity and walkable to all tourist sights & bazaar. Transfer from train station and to airport was arranged efficiently. Breakfast was a decent spread. We had a great time in Malika! You have to pay for your coffee in the morning at the breakfast that is included! Breakfast is cold even at 7am when it starts. The beds are singles and literally bow in the middle because they have probably never been replaced. The doors to the rooms cause a lot of sound so if you go to bed before 11am you'll be awoken by other guests as they come back to their rooms. Air con in my room also didn't work...luckily it wasn't' summer! 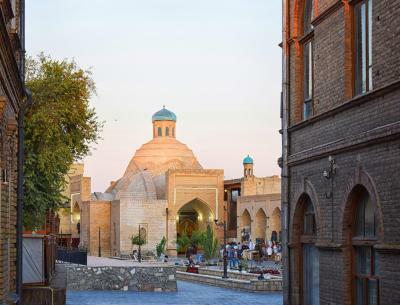 With some minor improvements and investment this could be the best hotel in Bukhara, but the owners probably are stuck in time, like most of Uzbekistan, and will unfortunately begin to hurt as the new, modern hotels begin opening if they don't improve their facilities and service game. 1. The few steps of stairs to the entrance. Would be difficult for folks with knee injury and heavy luggage. 2. The bed was made of wood and creates cracking noise. 1. Good location. 2. Very clean room and hotel. 3. 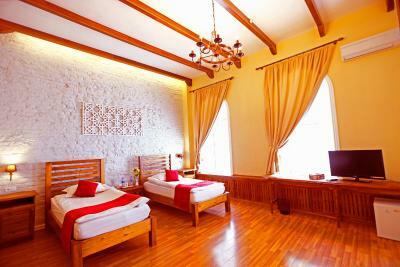 The room decorations, design and look are very beautiful and cozy. 4. Large and spacious room for my family. 5. Friendly staffs. 6. Nice breakfast. 7. Value for money. Good taste. Pleasant. Good person to person contact. Charming young waiter.